The media is buzzing with reports about fire, drought and extreme heat. And climate change is often attached to these stories. But does climate science explain how today’s extreme weather relates, if at all, to global climate change? This article will highlight some of these relationships. First, let’s review definitions of weather, climate and climate change. Weather is the state of the atmosphere at a place and time that determines if it is hot, dry, sunny, rainy, windy, etc. Climate is the average weather condition (e.g. average temperature) over time. Climate change is a change in the typical or average weather of a region or city. This could be a change in a region’s average annual rainfall, for example, or a change in a city’s average temperature for a given month or season. Under normal conditions, a range of weather conditions that deviate from averages (e.g. severe, extreme storms) can exist. Such extremes are not necessarily related to climate change. 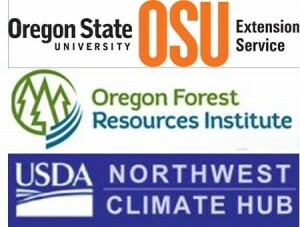 © 2019 Oregon Forests and Climate Change, all rights reserved.